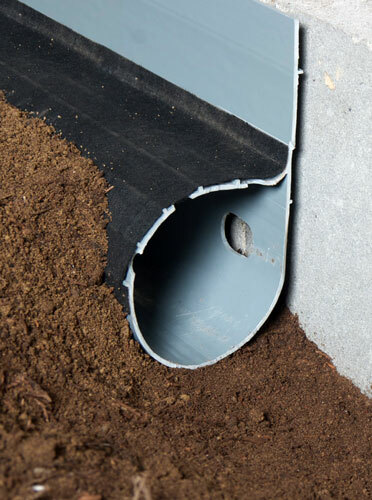 The SmartPipe™ Crawl Space Drain System is A custom-designed drainage system made especially for dirt crawl spaces. 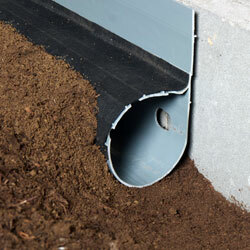 This is the first (and only) drainage system that's been designed specifically for crawl spaces! Openings in the drain located on the dirt-side are covered with a protective fabric, helping the drain to avoid clogging over time. The drain system is installed along the interior perimeter of the crawl space -- in most cases, the drain rests directly against the base of the foundation footing. A wall flange extends upwards along the edge to accept water leaking down from the walls, as well as to keep dirt from the floor from settling over the open drainage openings, located on the footing-side of the pipe. Our professional crawl space specialists can install a warranted waterproofing system in your home quickly -- often in less than a day. Contact us today to schedule a free dry crawl space quote! Each of our quotes includes an on-site inspection and measurement of your crawl space, as well as a personal consultation where we answer all your questions, and a customized cost quote. We serve throughout North America and Europe -- we look forward to hearing from you! Our complete crawl space drainage system includes a bright white crawl space liner and sump pump system. Our crawl space sump pumps are designed with a cast-iron Zoeller sump pump, pump alarm, and a floor drain installed on the airtight sump pump lid. Why Not A Standard PVC Pipe? 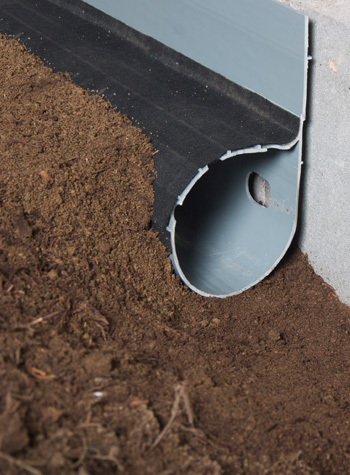 Standard PVC pipe is designed as a large, round perforated pipe that would be installed in the mud in a crawl space. With no protective fabric along the pipe, they can easily clog with mud and debris in the crawl space. Because of the larger size of PVC pipe, they require much more digging and labor to install than is necessary to keep your basement dry. Why Dry Your Crawl Space? Flooding in your crawl space can lead to serious damage to the supporting structure of your home. As mold, rot, and moisture damage wood floor joists, girders, and support posts, your home can begin to sag in the middle. A sagging crawl space leads to multiple problems upstairs -- including uneven floors, jamming doors, and cracks in drywall as it's pulled downwards. Mold spores in your crawl space will be pulled up into the main area of your home, potentially leading to allergic reactions for residents of the home. We Repair Flooding Crawl Spaces With Our Warranted Systems! Repairing a flooding crawl space early on will help to prevent further, more expensive issues in the future -- including structural repairs and mold remediation. 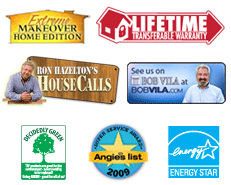 Our warranted system will help you control flooding, mold issues, and humidity in your crawl space -- all the time! To schedule a free craw; space repair quote with your local authorized Basement Systems Dealer, contact us by phone or e-mail today! Our network serves throughout Canada, the United States, and the United Kingdom. Your local dealer is standing by to help you!